I always find store bought cole slaw to be off somehow – it’s too soggy, too dry, not fresh enough, overdressed, too sweet, etc. I prefer to control the ingredients but haven’t been able to get the dressing just right – until now. 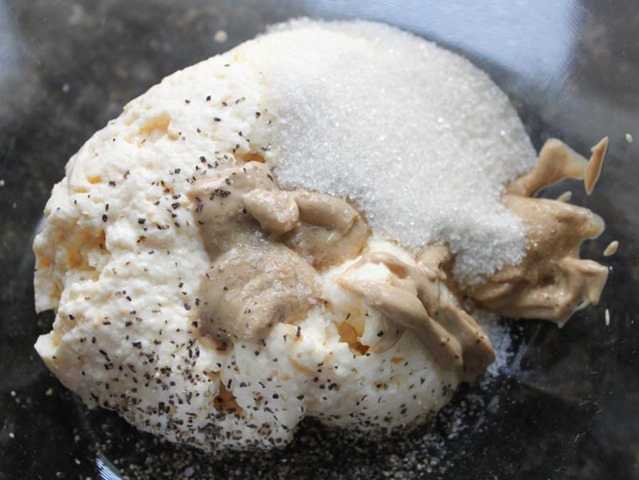 This recipe is great because it takes a little help from a pre-made bag of cole slaw mix while gaining all the benefits of a homemade dressing. Definitely my go to recipe from now on! 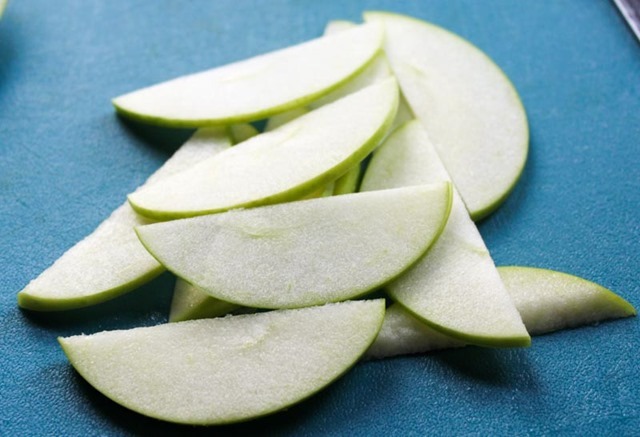 This recipe is called simple for a reason – there’s really only two steps: thinly slice the green apple and make the dressing. 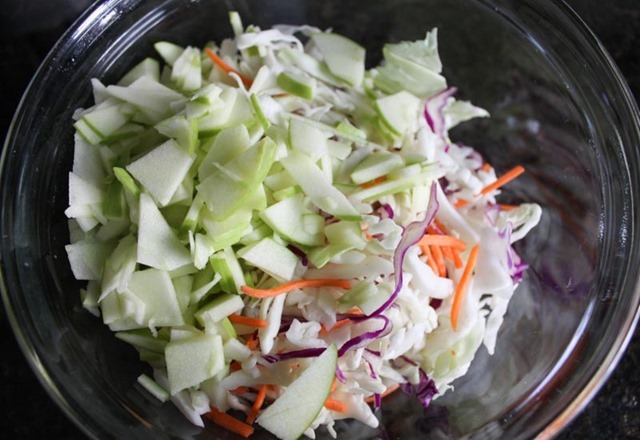 Mix the sliced apple and cole slaw mix in a bowl. You can skip the bagged cole slaw mix and chop up your own cabbages if you want, totally up to you! 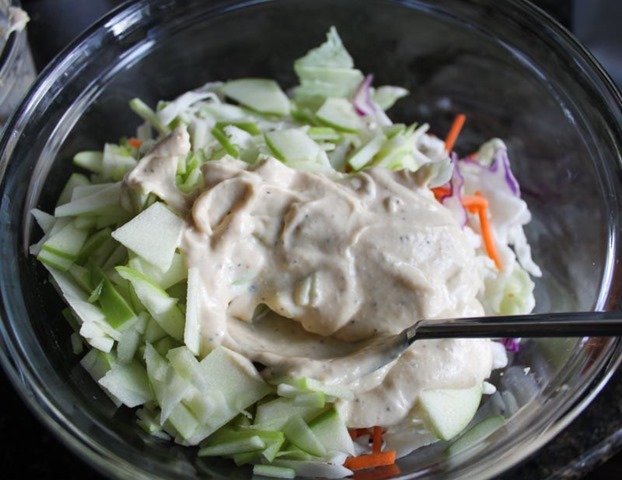 To make the dressing I simply whisked together all of the dressing ingredients, then poured on top of the slaw mix and mixed everything together. That’s it! 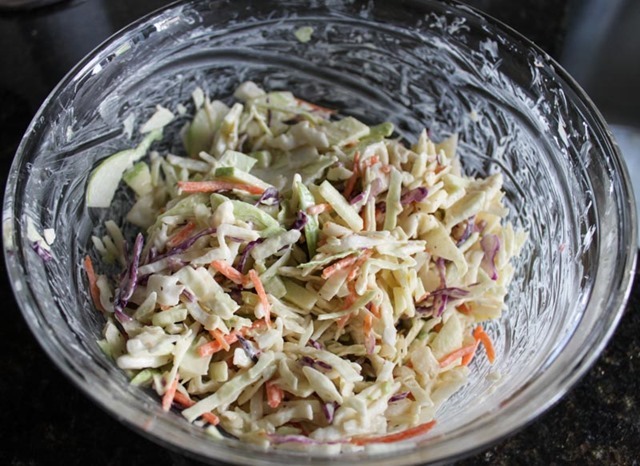 This cole slaw is the perfect side to any summer cookout or barbecue, as a simple side for weeknight dinners, or special topping for something like fish tacos or a pulled pork sandwich. A must try!